Swiss millionaire Donald Hess likes his art like he likes his wine: contemporary, full of integrity, relevant and capable of inciting a profound response. 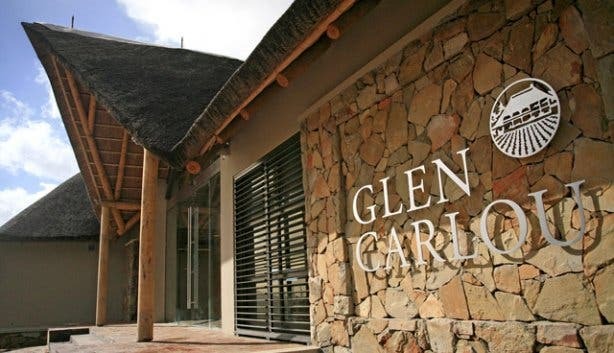 Thus when the former mineral water tycoon quite fittingly purchased the Glen Carlou winery from the Finlayson family in 2003, it went without saying that the savvy businessman would treat the estate in the same way that he treated his world-renowned private art collection. 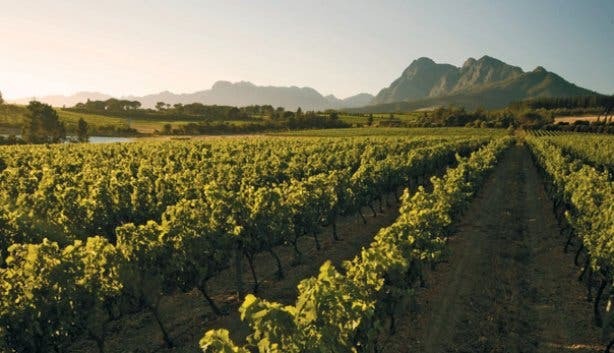 As a rule, Donald opts to support artists’ development rather than dictate an agenda of commissioned work; unsurprisingly then, he adopted a relatively similar laissez-faire strategy when it came to the South African addition to his budding vineyard portfolio. “We don’t follow trend; Donald acquired each of the four wineries in the Hess Family Estates collection for specific reasons, and he bought Glen Carlou for Chardonnay,” explains an amiable Arco Laarman, winemaker since 2000. Thus, from its perch at the foot of the Simonsberg Mountains in the cooler southern corner of the typically hot Paarl region (roughly 45 minutes from Cape Town), Glen Carlou private cellar has continued to do what it’s done best since its inaugural vintage in 1988: make delicious, balanced Chardonnays as ideal for easy drinking as they are for food pairing. A statement that’s well supported by a litany of awards: both the premium single-vineyard Quartz Stone-style and the Classic-style have earned international prestige and local acclaim over the years. And with the commercial release of a new unwooded-style in October 2012, the winery ballooned its much-touted repertoire even further. That said, the long and narrow strip of land that comprises Glen Carlou begets more than just full-bodied whites, and, thanks to large-scale renovations that were completed in August 2006, visitors can also taste the Pinot Noirs, Cabernet Sauvignons, Rhône-style reds and more in the midst of a handsome tasting room and a sprawling valley vista. 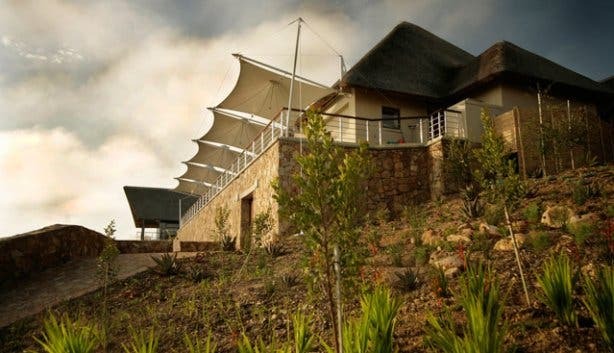 Built on the highest point of the property, Glen Carlou’s visitor centre flaunts, as Arco so aptly captures it, a regal snapshot of the South African Winelands. Once a modest building housing the winery’s cellar, simple tasting room and staff offices, the structure – which now stylishly marries the look and feel of a Swiss Alpine lodge and a Cape Dutch manor house – ostentatiously flings its breathtaking vista before the eyes of its visitors through floor-to-ceiling windows and from an intimate marble terrace. Regiments of vineyards stand at attention in the foreground, while cascades of purple-hued mountains reign over wisps of low-hanging cloud in the background. 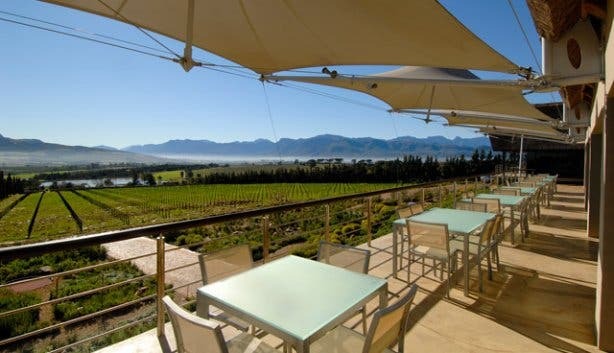 The winery’s on-site dam shimmers in the distance and an umbrella of big African sky stretches out above. And quite uncoincidentally, within the visitor centre, Glen Carlou’s unpresuming offering parallels the natural splendour of its magnificent views. 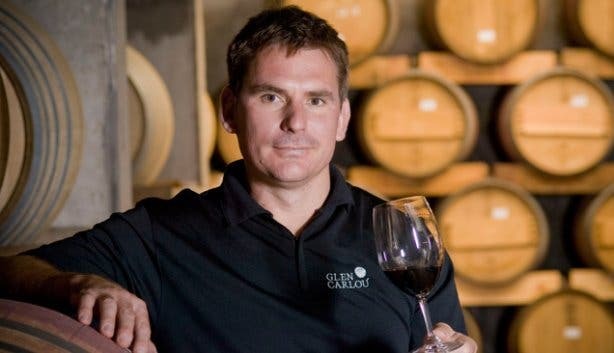 “Gone are the days when people just used to go hopscotching around to different wine farms for simple wine tasting, a time when you might have just gotten a little cheese platter or charcuterie board,” says Aussie-born Public Relations Manager Georgie Prout when quizzed about Glen Carlou’s other in-house activities. 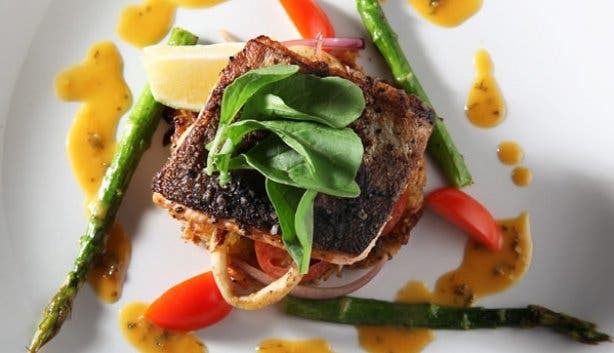 Thus, it goes without saying that the Paarl winery offers more than just a stock-standard sip and swirl. Within the open-plan, spacious visitor centre, a bold, mahogany tasting counter manned by a knowledgeable industry professional blends seamlessly with a less formal, but still sumptuous lounge area and a collection of well-dressed tables. 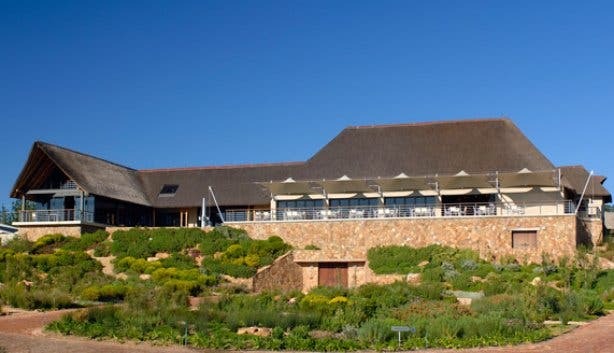 Visitors are invited to unwind on the plush couches, indulge in an international wine tasting – it’s possible to sample Hess vintages from Australia to Argentina – or take a seat for a leisurely lunch, sprinkling of tapas or three-course dinner. 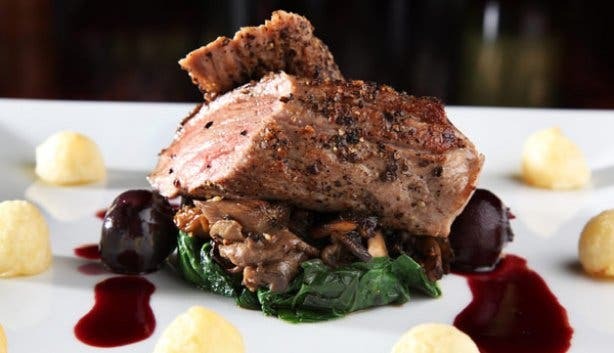 Since transforming what Arco describes as a “submarine kitchen” into a well-equipped industrial cooking area in 2010, Glen Carlou has served up a selection of seasonal, bistro-style fare pointedly created to pair with the private cellar’s assortment of reds and whites. As is, arguably, Glen Carlou’s most notable conversation piece, the Hess Museum of Contemporary Art, a highlight that’s clearly been added under the influence of the esteemed Swiss owner. 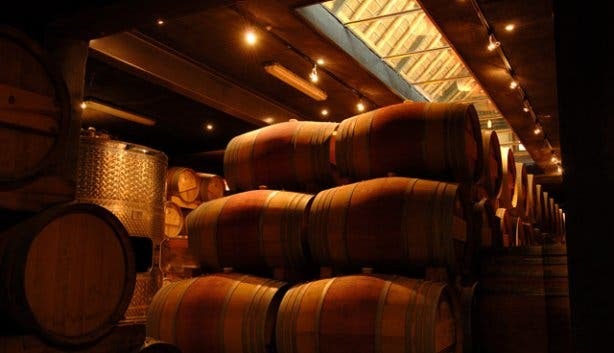 Though Donald hasn’t meddled with the viticulture philosophy or thrown a wrench in the winemaking process, he and his exhibition space have certainly had a hand in infusing the winery with a depth of culture. 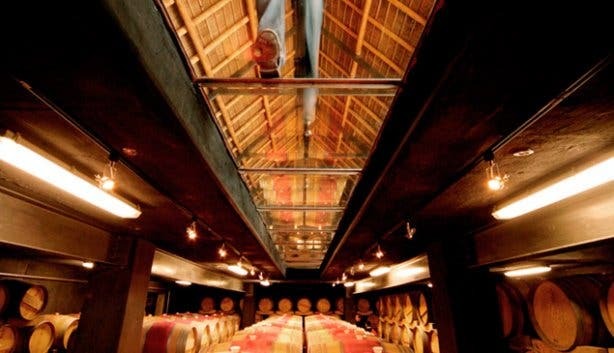 In accordance with his belief that an art collector has a responsibility to share his collection with the public, Donald has established galleries at three of his four wineries: a three-storey gallery rests in Napa Valley, and another more modest example is located at his sky-high vineyard in the Calchaqui Valley, Argentina. The Glen Carlou exhibition space showcases only a small sliver of the more than 1000 works in Donald’s collection, but nonetheless, as the selection boasts pieces sourced from an impressive grouping of artists– many of which are world famous (think Franz Gertsch, Francis Bacon and Magdalena Abakanowicz) – at any given time, visitors are granted a rare viewing opportunity. “Some people come just to walk through the gallery,” says Arco, deftly stepping over a ‘River of Sand’ installation that winds its way the width of the gallery. 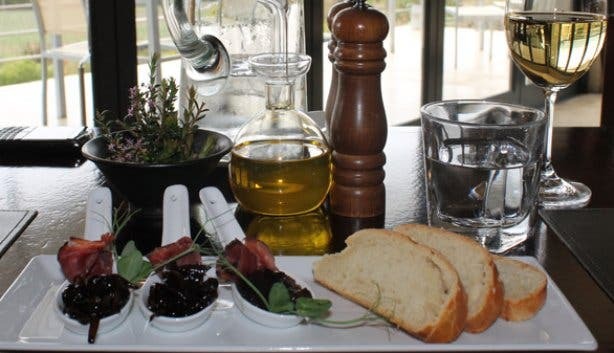 A point that’s most likely true, but still quite hard to believe; after all, just adjacent to the gallery is the lure of a day well-spent: sipping Chardonnay, snacking on homemade tapas, and gazing out over the beauty of idyllic countryside. 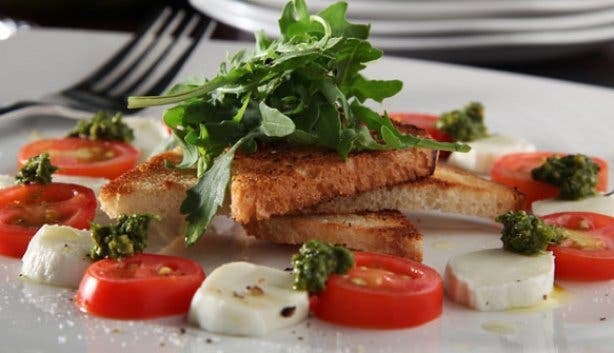 Read more about Glen Carlou’s bistro-style restaurant.